If you haven’t noticed by now, I am a color lover. Nothing makes me happier than to be surrounded by pretty colors. Not too long ago, while surfing Pinterest, I ran across this beautiful printable from Sweet Coconut Lime. EVERYTHING about it appealed to me but most of all, I LOVED the color palette. 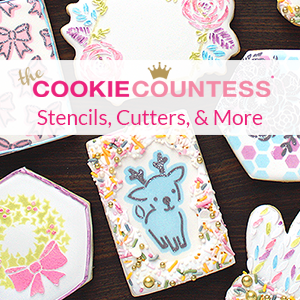 I couldn’t wait to recreate it for a cookie project, and now that I have, I’ll show you how. drop or two of ivory added to any color can transform it completely, giving it a vintage-y feel. Believe it or not, this little bottle is the key to perfect “off-colors”. 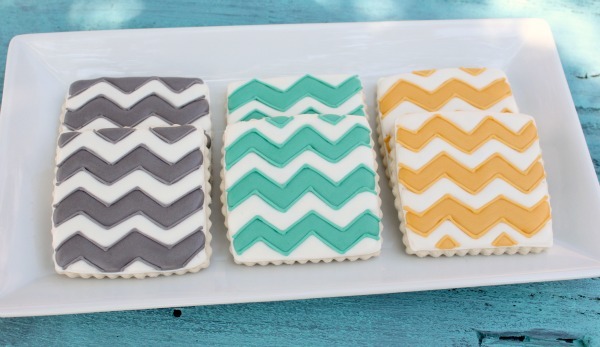 I made my chevron cookies using the off-colors above. Pretty, right? Ivory also makes a WONDERFUL flesh tone, which you can learn about HERE. To get your own ivory gel paste, click HERE. 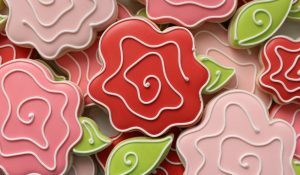 For tips on coloring and preparing royal icing, click HERE. 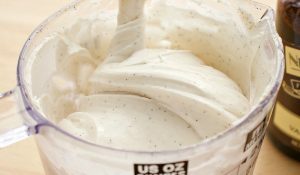 The next time you mix colors, try adding a drop or two of ivory gel paste. You may be surprised with the results. 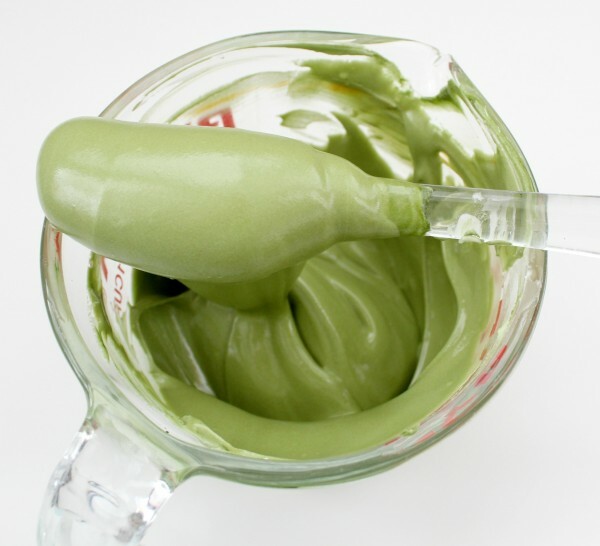 I used this trick for my Halloween cookies this year…I can’t wait to show you how they turned out. I feel a great week coming on. Glad you stopped by! Have a happy Monday, y’all! Beautiful! I live in a country where it is hard to find americolor, but I am coming to the U.S. to visit some family soon and want to stock up. What stores are good places to find the good stuff?? I am coming with empty suitcases!! Gorgeous colors! I love them. 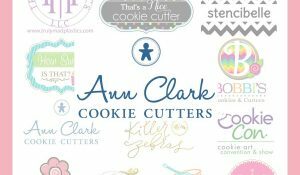 DId you change your blog set up? I’m not getting the full post in my reader anymore. Love this! I love Americolor colors, thanks for these tips!!! Just think you r so talented, keep up the good work. I LOVE those colors, what a cool trick!! I really do think that the color is part of what really makes the cookie. And you have an amazing eye for it! I LOVE the vintage look, wonderful post Callye! Great tip! 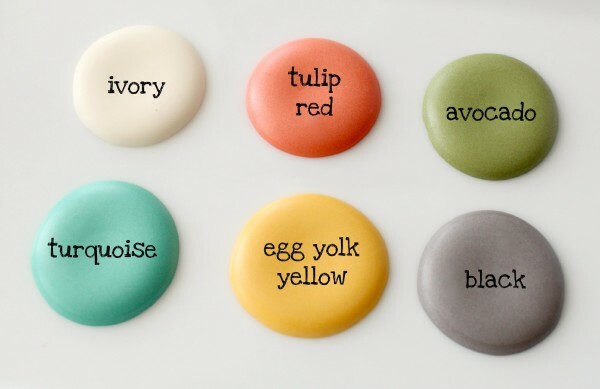 Looking forward to see the cookies you are busy creating with these colours! In the decorative painting world, when you add the same “color” to all of your colors, it is referred to as the “mother color” and creates “harmony” among the colors. I just did that to a plate of fall leaves/pumkins by adding a bit of brown a/k/a Americana Chocolate icing to each of the colors I used……it sorta brings them all into line with each other, thus creating “harmony”. This is a wonderful explanation and helpful use of ivory! Thanks!!!! Blessings, Donna B. Best tip ever! Now I can get my day started. Sometimes it just takes a little motivation. Love it! Those colors are right up my ally as well, I can see why you were attracted to them in the first place. I’ll definitely be trying this. Wow, good to know. I am very into vintage and of course in to baking. Now I know how to combine the two! Great tips, thanks for sharing! The cookies are amazing! These are great tips for mixing colors. I have used Americolor several times and find it much more consistent than some of the other brands. What a great tip! I wish we were neighbors, so I could come over for some cookie decorating lessons! 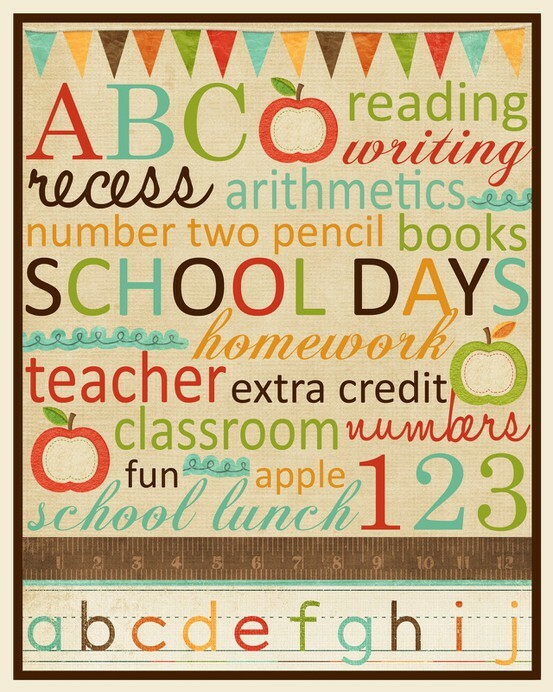 I am going to look for those for school, my girls will love those colors, and it will be great for class. thank you so much for sharing this with us! I look forward to checking out your site daily! Thanks for the tip on Ivory! I have often wondered how to get some of those colors! Me encanta esta idea. Mezclando colores se consiguen maravillas. That is too cool! I love vintage colors. Love it!! I just wish I had the patience to decorate cookies like you!! Boy, do I wish you had posted this a few weeks ago…I was really befuddled with a fall palette and now reading your post, it makes perfect sense. That whitener just made it bright and light, ivory was the answer! I managed but not without a headache, and convincing myself they looked good! You are most generous with your tips, many thanks! Ok, I am in LOVE these colors! this is a fantastic tip and I love it! Thank you! I love ivory too. I made my Vintage Fourth of July cookies using ivory too to all my colors. It is a great tip for Halloween cookies too. Cannot wait to see your new creations! Simply wish to say your article is as asniinshotg. The clearness on your publish is simply great and i can assume you are knowledgeable in this subject. Fine together with your permission let me to clutch your RSS feed to stay up to date with forthcoming post. Thank you one million and please keep up the rewarding work. thanks so much for that information. Great colors BTW. 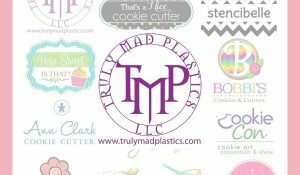 They should give you commission because I just bought several colors from Global Sugar Art! Thanks for the tips! Does this trick also work with homemade marshmallow fondant? I am so please to have find you. I have a wedding on Saturday and the whole color schemes is Salmon and white. Now I know were to come to when I am stuck.